For other places with the same name, see Brighton, New York. Brighton is a town in Monroe County, New York, USA. The population was 36,609 at the 2010 census. The Town of Brighton, located on the southeast border of the city of Rochester, was originally settled approximately 1790, and formally established in 1814—earning it recognition as one of the oldest towns in Monroe County. Named for Brighton, England, it remained a farming and brick-making community until the 20th century, when the town began its evolution into an upscale suburban residential area, occupying some 15 square miles (39 km2). In 1999, the town purchased 64 acres (259,000 m²) with the intention of developing a central park. The Alcoa Care-free Home and Stone-Tolan House are listed on the National Register of Historic Places. During the American Civil War the men of Brighton, NY helped form Company D of the 140th New York Volunteer Infantry Regiment in September, 1862, which was formed in Rochester, NY. The total population of Brighton at the time was about 3,100 people. The 140th New York Regiment served in the XII Corps and then the V Corps of the Army of the Potomac. They saw battle during the Battle of Gettysburg, The Battle of the Wilderness, the Battle of Spotsylvania and Appomatox Courthouse Campaigns during the war. The 140th New York was disbanded from service on June 3, 1865. According to the United States Census Bureau, the town has a total area of 15.6 square miles (40.5 km²), of which, 15.5 square miles (40.0 km²) of it is land and 0.17 square miles (0.4 km²) of it (1.1%) is water. Brighton has lacked a central village since the city of Rochester annexed the area around East Avenue and Winton Road, formerly the village of Brighton, in 1905. The central entertainment and commercial hub is the Twelve Corners, so named because three intersecting roads, Winton Road, Monroe Avenue and Elmwood Avenue, define 12 distinct corners. Also, both the High School (Brighton High School) and the Middle School (Twelve Corners Middle School) are located at Twelve Corners. Brighton is bordered by the city of Rochester and the town of Irondequoit northwest, the town of Henrietta to the south, the Genesee River and Chili the west, and the towns of Pittsford and Penfield to the east. Brighton is located some 60 miles (97 km) from Buffalo, and 90 miles (140 km) from Syracuse. The Erie Canal courses through Brighton, accompanied by the acclaimed Erie Canal Heritage Trail, one of the longest continuous stretches of maintained off-road trail in the United States, though in essence it is basically an asphalt road without motorized vehicles for its stretch in and around Brighton. The Pinnacle Hill Range, a range of glacially-formed hills of unique habitat including old-growth oak woodland, is largely leveled or otherwise destroyed, but does have degraded remnants on Pinnacle Hill and the east side of Cobbs Hill. The latter is dedicated as Washington Grove and very popularly used; the former is the highest (though eroded) peak in Rochester and mainly used for unregulated mountain biking with an extensive and wide network of trails on its steep, sandy slopes. The largest wetland in Brighton is a former clay-mining operation filled with lesser cattails along the Brickyard Trail, recently made a park in 2017. A fairly large area of west Brighton is undeveloped and wooded, including Lynch Woods Nature Park, from which you can access the Lehigh Valley Trail, which extends to Victor in the east and Rush to the west, and connects to the Genesee Valley Greenway, Auburn Trail, and Erie Canal trails. Most of Brighton however is completely developed, consisting of asphalt and lawn geography. As of the census of 2000, there were 35,588 people, 15,854 households, and 8,687 families residing in the town. The population density was 2,302.5 people per square mile (888.8/km²). There were 16,705 housing units at an average density of 417.2 persons/km² (1,080.8 persons/sq mi). The racial makeup of the town was 86.09% White, 8.13% Asian, 3.70% African American,1.33% from two or more races, 0.10% Native American, 0.03% Pacific Islander and 0.63% from other races. Hispanic or Latino of any race were 2.34% of the population. There were 15,854 households out of which 24.7% had children under the age of 18 living with them, 45.9% were married couples living together, 6.8% have a woman whose husband does not live with her, and 45.2% were non-families. 36.3% of all households were made up of individuals and 13.8% had someone living alone who was 65 years of age or older. The average household size was 2.14 and the average family size was 2.86. In the town, the population was spread out with 20.0% under the age of 18, 7.5% from 18 to 24, 29.9% from 25 to 44, 23.4% from 45 to 64, and 19.1% who were 65 years of age or older. The median age was 40 years. For every 100 females, there were 88.8 males. For every 100 females age 18 and over, there were 84.9 males. The median income for a household in the town was $91,345 and the median income for a family was $112,125. Males had a median income of $75,670 versus $49,299 for females. The per capita income for the town was $40,500. 6.1% of the population and 3.0% of families were below the poverty line. Out of the total people living in poverty, 4.9% are under the age of 18 and 5.2% are 65 or older. Much of the Town of Brighton is served by the Brighton Central School District, which frequently earns high positions in Newsweek national rankings (5th in 1998). Very recently, the ratings have gone down, possibly because some of the school teachers in Brighton have retired or because of increased emphasis on APs in other schools. In 2007, Brighton placed higher (87th) than its cross-town rival, Pittsford Mendon High School (94th) for the first time in several years. Brighton was recently ranked #56 out of over 18,000 in the inaugural U.S. News & World Report ranking of U.S. high schools (2007), which is generally regarded as having more breadth of analysis than the Newsweek rankings. (The former rankings are formed based upon numerous quantifiable factors, whereas the Newsweek rankings solely examine the raw number of students enrolled in AP classes per capita.) No other school in Monroe County placed in the top 1,000, including, most notably, cross-town rival Pittsford Mendon High School. In 2006, Twelve Corners Middle School received the "Schools to Watch" award, and again was recertified in 2009, 2012 and 2015. It is one of only ten Middle Schools in New York to receive the "Schools to Watch" award. Most of the northeastern part of the town is served by the Penfield Central School District. Some of the northeastern and eastern part of the town is served by the Pittsford Central School District. Most of the western part of the town is served by the Rush–Henrietta Central School District. The extreme western part of the town is served by the Wheatland–Chili Central School District. Brighton is also home to the main campus of Monroe Community College and auxiliary campuses of Empire State College, Medaille College, and the University of Rochester. Brighton is governed by an elected town board, consisting of a supervisor and four town board members. The supervisor is elected to a two-year term and serves as the CEO of the municipality and chairperson of the town board. The board members serve four-year terms. Voters also elect two town justices and a town clerk. Town justices serve a four-year term, and the clerk is elected to a two-year term. Frederick Douglass 1818 – February 20, 1895, social reformer, orator, writer, statesman, leader in the underground railroad and statesmen "I would unite with anybody to do right and with nobody to do wrong." Walter Hagen (1892–1969), "Golf's Greatest Showman", World Golf Hall-of-Famer, won 11 Majors. Heidi "Hudson" Leick, Xena: Warrior Princess actress, played "Callisto"
^ "National Register of Historic Places". WEEKLY LIST OF ACTIONS TAKEN ON PROPERTIES: 6/14/10 THROUGH 6/18/10. National Park Service. 2010-06-25. ^ "America's Top Public High Schools - Newsweek Best High Schools - Newsweek.com". Newsweek.com. Retrieved 2009-03-14. ^ "America's Best High Schools 2009 - US News Education". US News. Archived from the original on 2008-12-18. Retrieved 2009-03-14. 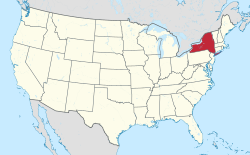 ^ "Monroe County, New York School Districts". Monroe County Department of Environmental Services. Retrieved 2015-07-16. ^ "A brief history of St. Thomas More Parish". olqpstm.com. Retrieved July 22, 2018. ^ "Seton Catholic School at Our Lady of Lourdes/St. Anne". www.setoncs.org. Retrieved July 22, 2018. ^ Williams, Helen Reynolds; Akin, William S; Howland, Douglas (1964). Sesquicentennial History of the Town of Brighton, Monroe County, New York, 1814-1964. Brighton, New York: Sesquicentennial Committee. p. 52. OCLC 866545578. ^ "Allen Creek School History". www.pittsfordschools.org. Pittsford, New York: Pittsford Central School District. Retrieved 2018-07-22. ^ "Allen's Creek first settled in 1790". Democrat and Chronicle. Rochester, New York. September 10, 2015. p. 20. ISSN 1088-5153. ^ Kalsbeck, Eleanor C. (1977). Henrietta Heritage. Henrietta, New York. p. 173. OCLC 3328025. ^ a b MacNab, Margaret (1979). West Brighton Folk & Lore. Town of Brighton. OCLC 7867791. ^ "UR buying 29-acre St. Agnes Campus". Democrat and Chronicle. Rochester, New York. June 29, 1982. p. 6B. ISSN 1088-5153. ^ "Record Turnout OKs Merger of School Areas". Democrat and Chronicle. Rochester, New York. June 22, 1954. ISSN 1088-5153. ^ Tobin, Tom (2009-11-04). "Monro Muffler founder Charles August dies". Rochester Democrat and Chronicle. Archived from the original on 2009-11-08. Retrieved 2009-11-07. Wikimedia Commons has media related to Brighton, Monroe County, New York. This page was last edited on 25 February 2019, at 02:06 (UTC).